I have been hearing about GemPro 250 quite a bit on local reloading discussion aliases as well as from friends. 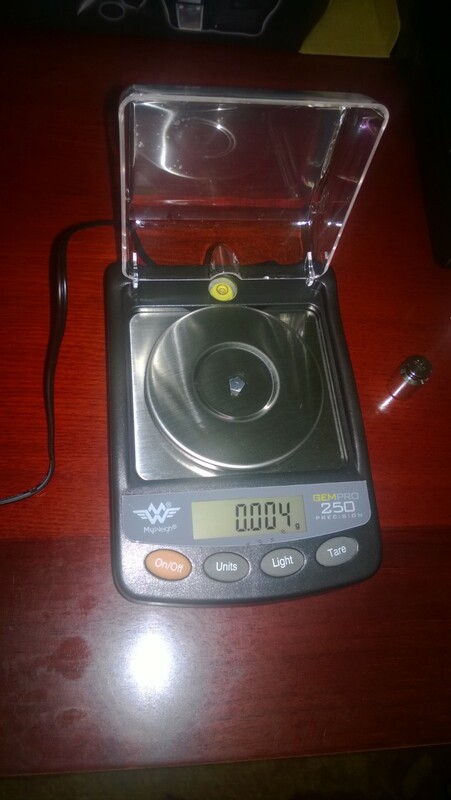 One of the friends was even kind enough to lend me his, but this happened during the time my previous microbalance scale was in repair, so I could not seriously test it. So after keeping it for way too long, I just returned it, before accumulating what I felt was enough data to publish a review. 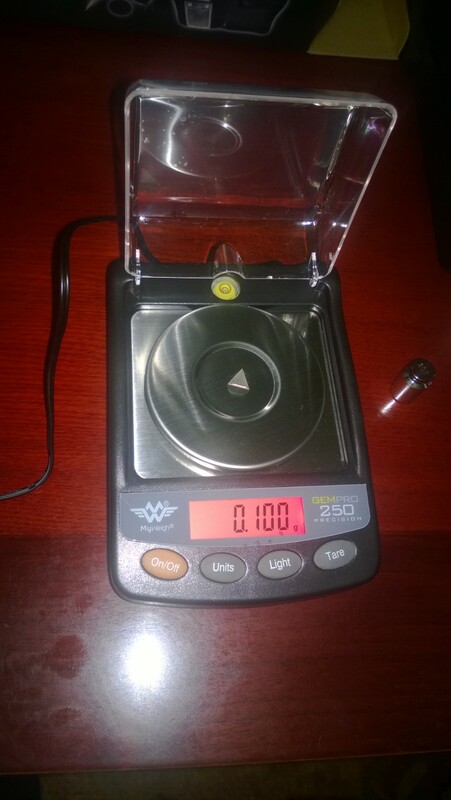 But recently I got two tools that I could use to test scales - an ASTM Class 1 calibration set and Radwag AS/60/220/C2 semi-microbalance scale. 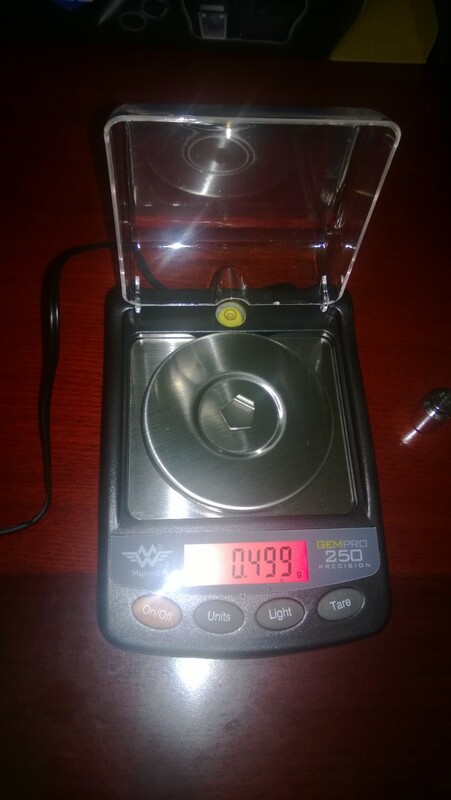 This time instead of borrowing the scale I just went to Amazon and bought both this scale and also its rival which many referenced in their Amazon reviews - American Weigh GPR-20. The scale came in a plastic case which is a constant source of annoyance for me - after opening, I could never repackage it such that the box would close. There are too many things inside, and the space is not large enough. In fact, even after I gave up on trying to fit the pad that somehow was originally packed in there and removed it, I could still not package the rest tightly enough to close the lid. The price at the time of the writing on Amazon was $122, which is more than double compared to GPR-20's $57. Unlike battery-powered GPR-20, GemPro 250 comes with an AC power adapter. 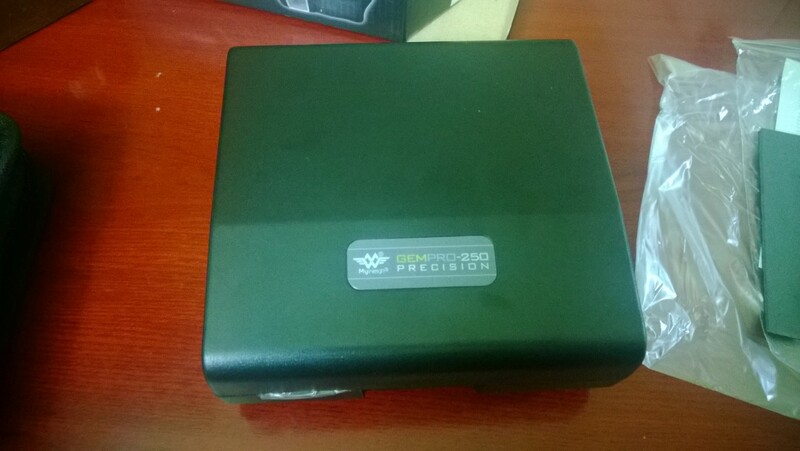 Unlike GPR-20, it only comes with one calibration weight, and so linear calibration is impossible without an extra weight, and the manual days that in most cases it is unnecessary. 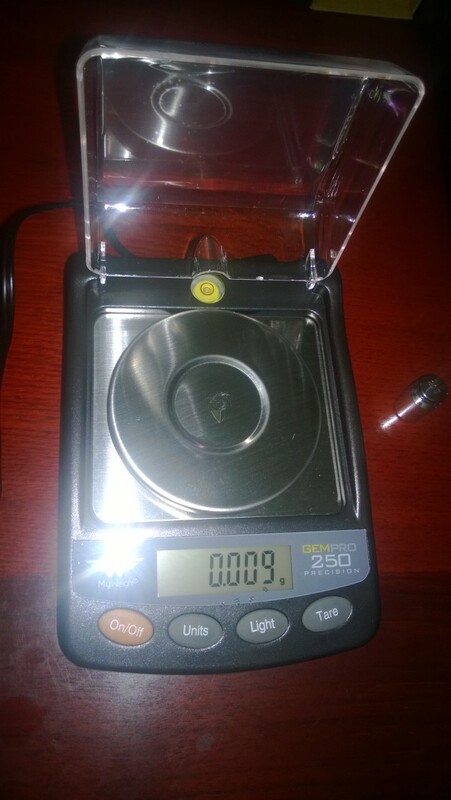 The calibration weight that came with my GemPro 250 registered 19.99992 g on Radwag semi-microbalance, which is within 2 standard deviations of that scale's sensitivity, so it is statistically the same as its nominal weight. 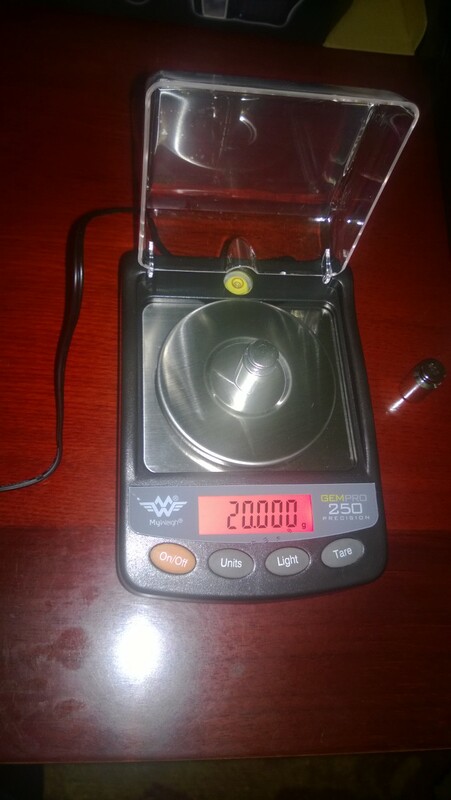 The scale has adjustable legs and a leveling bubble, and the manual calls for leveling it before use. The manual is somewhat vague on the specs. I take the following table as the claim that the standard deviation of the scale is 2 mg. Here is the manual in its entirety. 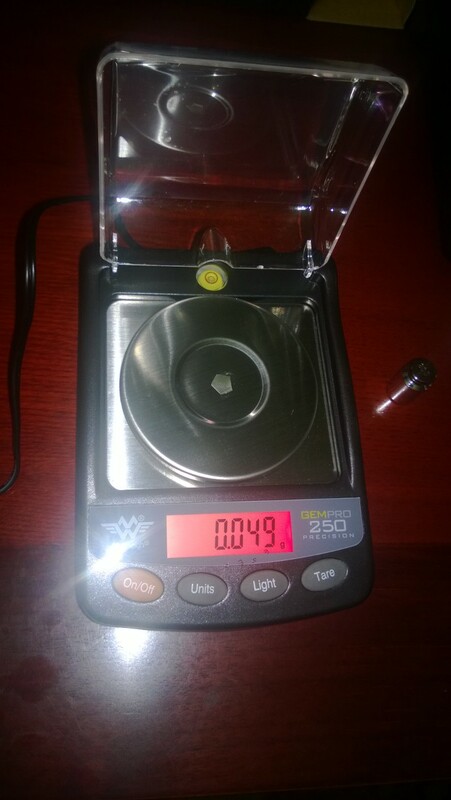 The scale is awesomely accurate - the measurement error was never more than 1 mg.
To check if GemPro 250 has this problem, I have set up Redding 10X Pistol Powder measure to drop about 70mg (1.08gr) of Titegroup, which consists of really small flakes and meters very well. 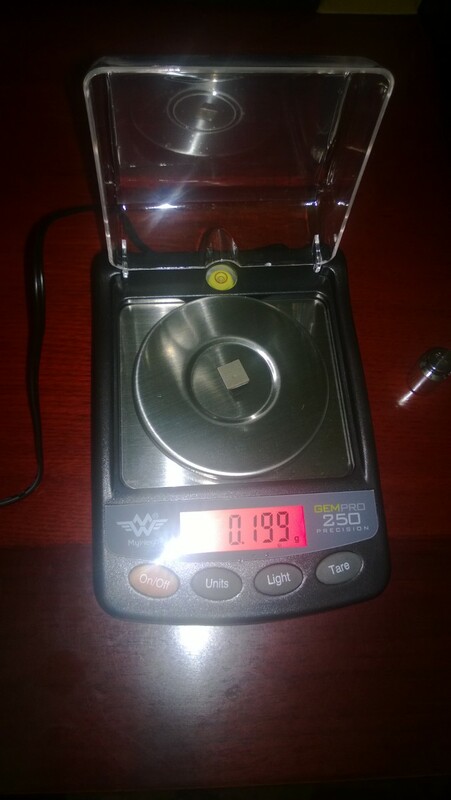 I have cross-checked the weight using Radwag AS/60/220/C2 semi-microbalance scale. 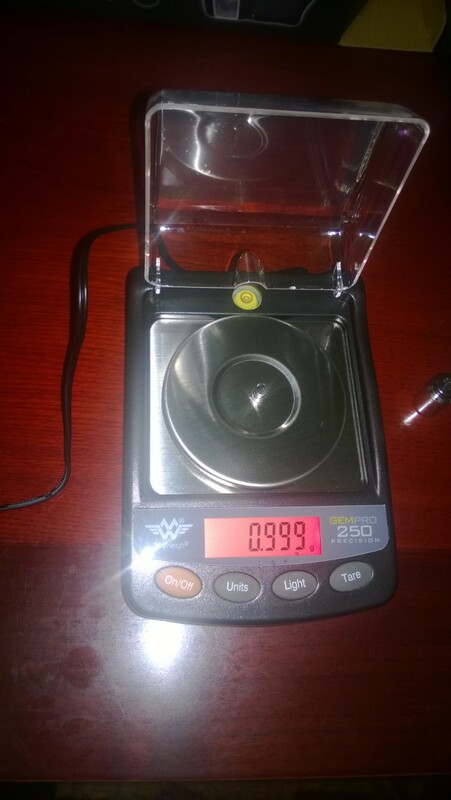 After that, I would return the powder pan back to GemPro 250 and slowly trickle the powder in until it would reach approximately 100mg (1.54gr). 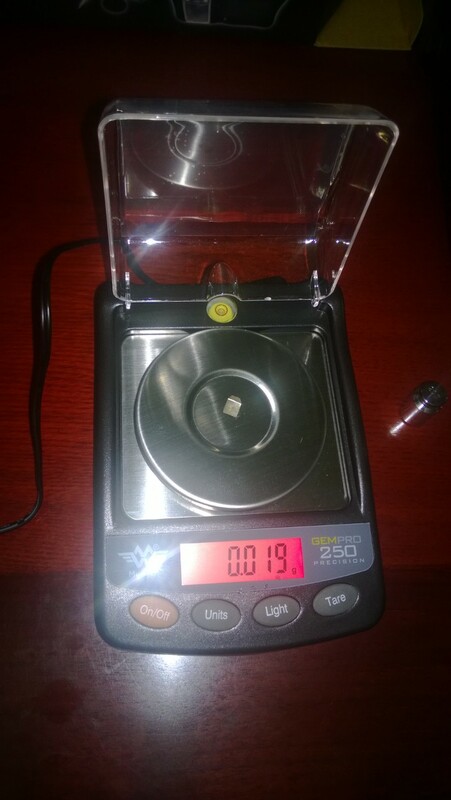 I would then weigh the sample again on Radwag. As you can see, it accumulated 16 mg (0.24 gn) of error after the first two trickles, so I had to tare it. It continued to quickly accumulate the error for the three subsequent powder drops. This scale cannot be used for trickling AT ALL. 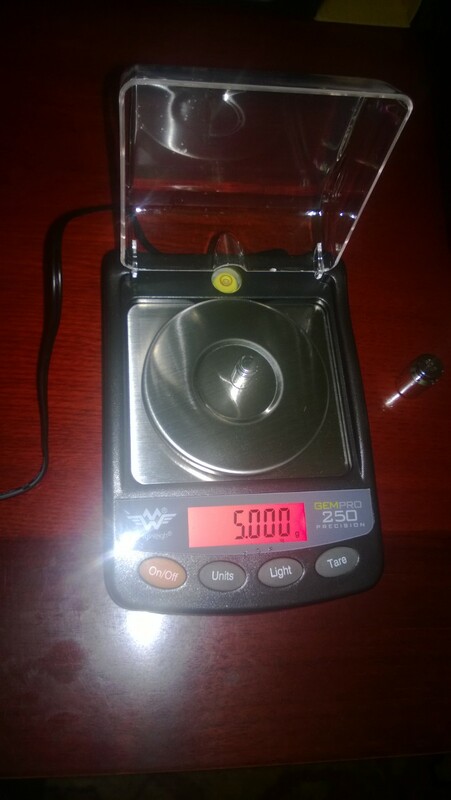 As a result, I don't think GemPro 250 is a good replacement for a beam scale for general purpose reloading. It is amazingly accurate, especially for the price, but inability to weigh dynamic loads imposes limitations that are not acceptable for using it as a primary reloading scale. There is an exception, however. 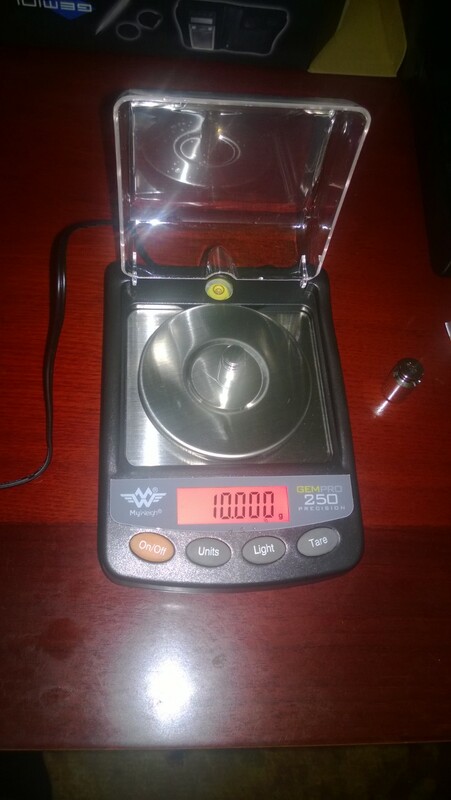 It is if you only load for pistol using a high quality progressive press or a high quality powder measure in combination with a well-metering powder such as Bullseye or Titegroup. 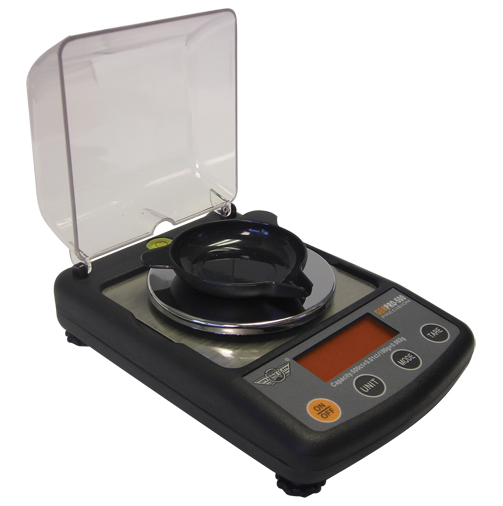 In this case you can usually rely on the powder measure, and only need the scale to calibrate it and spot-check the drops. GemPro 250 would work very well for this scenario. However, American Weigh GPR-20 has the same level of accuracy at half the price, and would work just as well, so I recommend it over GemPro 250. If you do decide to buy it, you can do it on Amazon .